For the first time in India, Mumbaikars got a chance to experience a live Broadway Musical with Disney’s Beauty and the Beast In October 2015. The show was personally overseen by Siddharth Roy Kapur, former CEO, Disney India which featured spellbinding sets and aerial acts, hundreds of actors, elaborate costumes and a splendour which stunned viewers. The success of this show lies in the fact that the teams behind the production primarily understood that the perfect event needs the perfect venue to complement it. The amenities provided by the venue makes the event a success and there could have never been any better venue for Disney to debut their Broadway Musical in Mumbai than Dome@NSCI, SVP Stadium, the largest indoor venue in India. With a ceiling height of 42 feet, a pillar less open arena, central air-conditioning and a capacity of 5000-8000 people, Dome is the first choice for many event organisers. In the past, we have hosted events like Pro Kabaddi League, Filmfare Awards, BMW 5 launch, Mixed Martial Arts, One Plus 5 launch, Golden Petal Awards and Kyoorius Awards among others. Despite the experience of presenting such high calibre events, The Beauty and The Beast, certainly was unlike any other show. The transformation of the venue to create the set had to be flawless, larger than life and better than anything we had ever done before. The team of The Beauty and The Beast wanted to create a magical experience no one had ever witnessed before. It took four months of pre-production to set the stage. There was an enormous team working round the clock every day. Transforming the concept of the musical from paper to reality was possible only with the help of a brilliant international team. The designed set featured a circular stage, ramps and pathways that criss-crossed between sections of the audience. The idea was for the experience to be completely immersive. The moment the play began, the audience felt like they were in Belle’s village and later as the scene transformed, they were transported to the Beast’s castle. As some of the action took place within the audience, some of the seats were designed to swivel completely so that no one would not miss out on the show. The venue is equipped with a heavy load bearing capacity ceiling, which is one of its kind. As a result, the set not only facilitated aerial stunts with utmost safety but also used a combination of physical props and LED screens to create different kinds of scenic spaces. Apart from that, the audience could also enjoy alluring lighting effects and sound system, emphasising that our amenities are par excellence. The end result– a reality, even more beautiful than the dream. 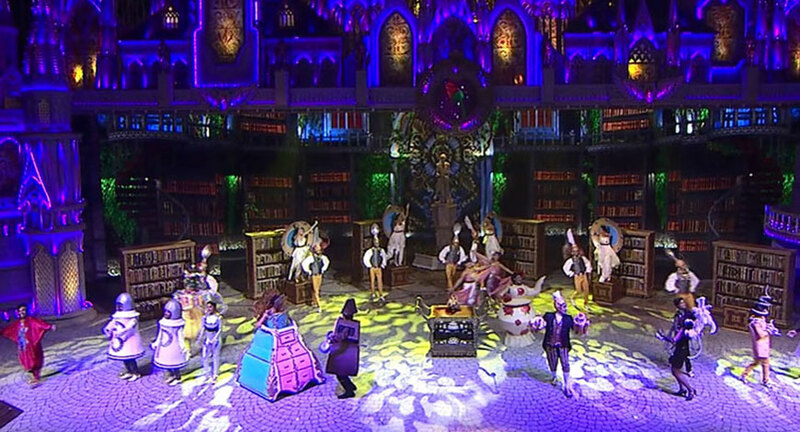 When The Beauty and The Beast went live, every show was house full and was the best theatre experience Mumbai had ever witnessed. For us at Dome, it was a privilege to host and partner with such a spectacular international Broadway musical with Disney, which created history in the event industry. We have lived a dream and are left with an experience that shall linger on forever. Dome’s crew is honoured to work so closely on this show and support the production of Beauty and the Beast. The team was led by Executive Producer Suhail Maitreya and Nishad, Business Development Head, under the guidance of Director Vikrant Pawar, who said that the experience of the musical in India was better than that seen abroad. The success of this show has only emboldened us to showcase more of such galas. Mazhar Nadiadwala is the Managing Director of The Dome, an experiential indoor venue in Mumbai, 1 lac square feet in size.